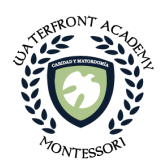 Waterfront Academy is currently accepting applications for both Primary (ages 3-6) and Lower Elementary (ages 6-9) students. Deadline for school year applications is Monday, June 30. Spanish Immersion Summer Camp is also being offered from July 28 - August 22. Learn more about Waterfront Academy and send in applications online. 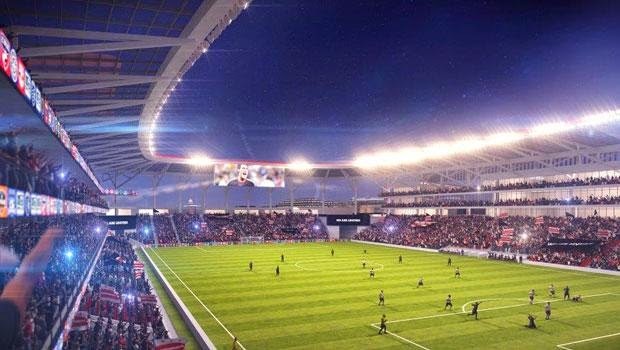 Mayor Gray announced today in a press release that the city has reached final business terms with DC United to build a new 20,000 – 25,000-seat soccer stadium in Buzzard Point at 2nd and R streets. The announcement comes ten months after the city signed a term sheet with DC United. Currently, the city controls 88 percent of the stadium site and “has also brokered an agreement in principle for acquisition of the final parcels for full possession of the required land for the stadium,” according to the press release. Some of the components of the deal include a land swap with Akridge – the city will offer the Reeves Building at 14th and U streets, NW in exchange for a portion of the stadium site. Akridge originally planned a secure office campus ideally for a federal tenant on their three-block long, nine-acre site, which was being marketed as 100 V Street. The developer will retain the southern two blocks of the site and will more than likely build a mixed-use project oriented to an entertainment district rather than a federal enclave, although that is pure speculation at this point. A new Reeves complex will be built in Anacostia that will be completed in three years. The city will also acquire land owned by Pepco in the stadium footprint and in turn, Pepco will buy city-owned land at 1st and K streets, NW, where they will be required to build a new substation. This substation is in addition to the one Pepco has planned in Buzzard Point at 1st and Q streets. Details on the sale of the other parcels needed for the stadium have not been finalized yet. 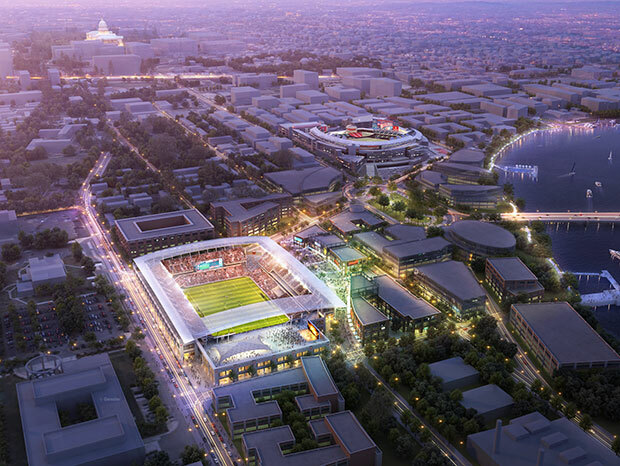 The city will spend a maximum of $150 million for land acquisition and infrastructure, while DC United will pay an estimated $150 million to build the stadium. Additional uses will be built adjacent to the actual stadium within the footprint, presumably a hotel, team offices, and some retail. The land will be leased by the team for 30 years (up to 40 years if renewed) at a subsidized rate of $1 per year, but the ancillary uses portion of the site can be renewed for a longer term provided the team pays market rent during that additional term. Property and sales taxes will be phased in during the life of the ground lease, as well as a $2 ticket surcharge. The restaurant will likely not open that late, but it would be allowed to do so if the liquor license is approved. The hearing date is on June 23. Construction of the American Veterans Disabled for Life Memorial is coming along at 150 Washington Avenue and a dedication ceremony is scheduled for October 5. The AVDLM will contain the following components: a star fountain with eternal flame, triangular reflecting pool, granite paving, stone and glass walls, sculptural elements, trees, landscaping, lighting, and parking on the south side of the site. 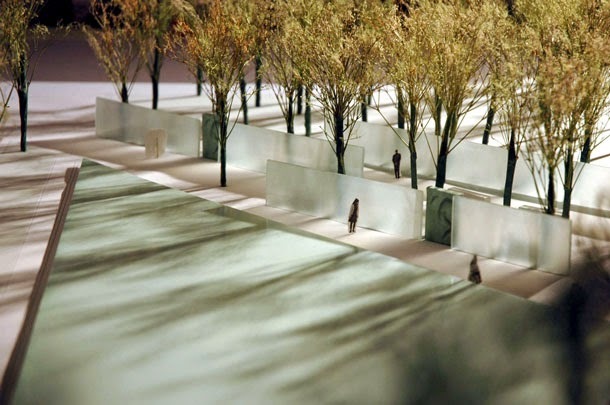 Glass walls planned at the memorial (also known as the Voices of Veterans) will include quotes of disabled veterans and seven images showing wounded and disabled soldiers and veterans and images of care givers. The "Wall of Gratitude" that will run along the middle of the memorial will contain quotations from George Washington and Dwight Eisenhower when they were generals. The third and final round of public meetings for the North – South Corridor Planning Study will be taking place during the week of June 9. 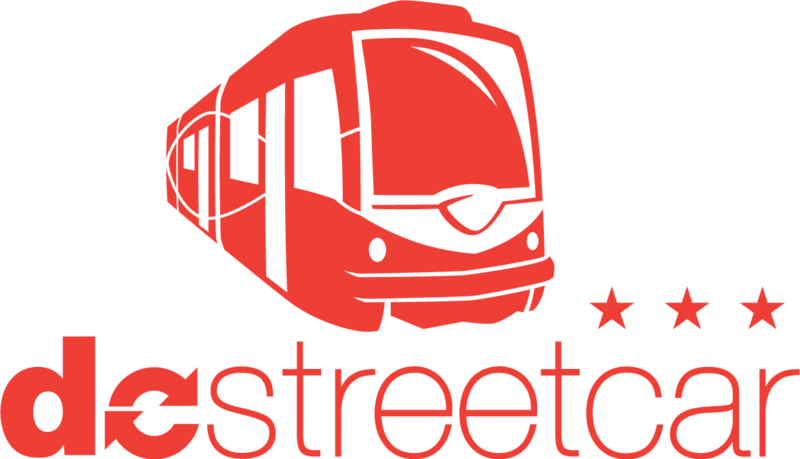 DDOT will report back on what the agency has heard from the community, present analysis for potential streetcar routes and provide an overview of the next steps in the process. These routes have been evaluated using criteria such as ridership potential and traffic. The meetings will be open-house style and will include two opportunities for participants to hear an overview presentation. The South Sub Area meeting (which includes Southwest) will be on Tuesday, June 10 from 3:30pm – 8:30pm at 1100 4th Street in the 2nd Floor community room. There will be two presentations – one at 4pm and another at 7pm. The Washington Kastles have decamped from Southwest entirely and are moving indoors this season to the Smith Center in Foggy Bottom, says the Washington Business Journal. Kastles Stadium at The Wharf lasted for three years and was dismantled after the end of last season to make way for phase one of The Wharf. The team was considering a move to a vacant lot at Waterfront Station, but after an extensive amount of due diligence, the site did not work out. While tennis won’t be played at Waterfront Station, there will be some bocce, at least for a day. DC Bocce will have their Bocce-N-Beers Charity Tournament and End of Season Party on Saturday, June 14, featuring 20+ kegs of beer, live music, and an all-day bocce playoffs tournament. Three more cranes have arrived on-site at The Wharf over the past couple of weeks to help with demolishing the existing docks at the Gangplank Marina and the seawall. Gangplank Slipholders Association President Karen Anderson brings word that construction fencing has cut off the lower portion of the seawall promenade between 7th Street and what was formerly Phillips Flagship. The restaurant closed late last month and will reopen in a much smaller takeout format at L’Enfant Plaza this summer. Pier 7 Restaurant at the Channel Inn closed in late March. Meanwhile, Jenny’s Asian Fusion is still open for the time being and the Maine Avenue Fish Market will remain open through the duration of construction. Seventh Street Landing is also a part of the construction zone, so activities that used to take place over there have been moved downchannel to Gangplank Park closer to 6th Street, including Bufus’ King Ribs. Water Street is now closed to traffic between 7th and 9th Streets while utility relocation work gets started. In addition, parking is no longer allowed along Water Street from 7th Street to the fish market. The street will no longer exist when phase one of The Wharf is completed in late 2017.
Review of "Smokey Joe's Café - The Songs of Lieber and Stoller"
Smokey Joe's Café - The Songs of Lieber and Stoller, directed by Randy Johnson, is a rock, rhythm and blues revue at Arena Stage that has the distinction of being the longest-running revue in Broadway history. The production features Levi Kreis, E. Faye Butler, and Nova Y. Payton, who are joined by Jay Adriel, Austin Colby, Ashley Blair Fitzgerald, Michael J. Mainwaring, Stephawn P. Stephens, and Kara-Tameika Watkins. Nearly 40 songs are performed during the two hour show, with old time favorites including "Hound Dog", "Jailhouse Rock", and "Love Potion #9." The performers were energetic throughout the show and engaged with the audience. Three of my favorite performances were "Keep on Rollin'" for its choreography, "Pearl's a Singer," and "Jailhouse Rock", which received a rousing ovation. I thought that the songs featuring Butler were done better when she was able to fully use her strong singing voice, such as the reprisal of "Fools Fall in Love" in the second act. 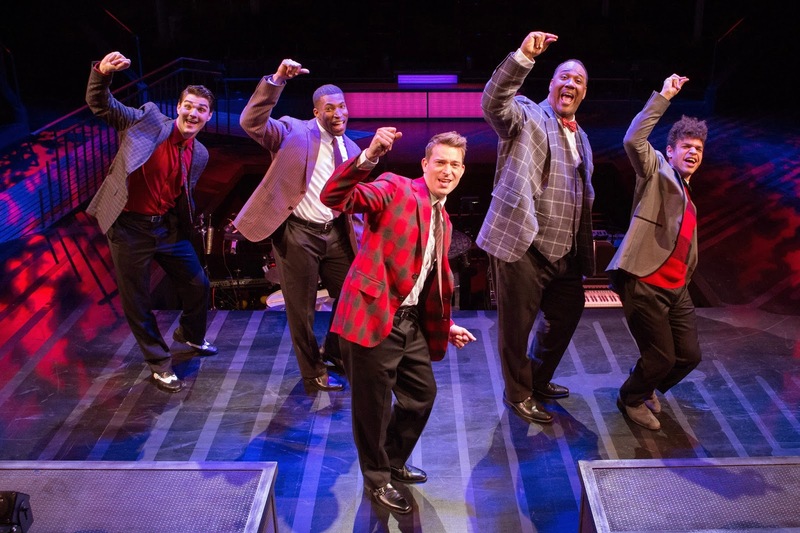 Smokey Joe's Café runs until June 8 at the Fichlander Stage. Tickets are available here. A hang-up in the discussions has been how to replace an original provision in which the District would have shared in any profits the team made. After vetting the profit-sharing provision with members of the D.C. Council, City Administrator Allen Lew, the District’s chief negotiator for D.C. Mayor Vincent C. Gray (D), agreed with the team to replace it with a combination of sales tax payments and a future $2 surcharge on tickets. A recent Southwest...The Little Quadrant That Could unscientific poll stated that 80% of respondents approved the deal, which calls for the District to spend up to $150 million for land acquisition and infrastructure improvements while the team spends $150 to build the stadium. Agreements have been made with Akridge and Pepco regarding their parcels in the stadium’s footprint, but negotiations continue with Kastles’ owner Mark Ein, who with Super Salvage, controls land in the northern end of the site. If an agreement cannot be made, then according to the article, the city is prepared to use eminent domain. Akridge owns most of the land needed for the stadium, which will be located at 2nd and R streets while Pepco’s parcel is located on the eastern side of the site. A land swap has been negotiated with Akridge involving the Reeves Center at 14th and U streets, NW. Presumably, the Pepco site is a cash deal, although details should be forthcoming soon once legislation is introduced in the Council. On a related note, Pepco representatives came to the monthly ANC 6D meeting last week to provide an update on their plans to build a new Waterfront Substation north of the stadium site and 1st and Q streets to replace the one in the decommissioned Buzzard Point Plant at Half and V streets. 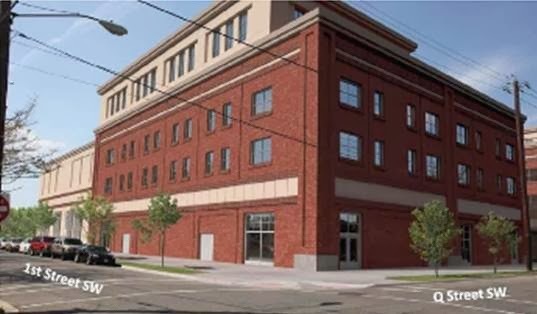 Originally, the façade of the substation was designed by CORE Architects to look like an office building and mimicked the brick architecture of Fort McNair, but after receiving feedback from the community and the Office of Planning, the utility company has decided to rework the design. The new design uses a variety of forms around the building, with more of a residential feeling on the north side near the existing community with brick veneer and a vegetative wall - the historic James C. Dent House is on the northwest corner of the site and will remain intact. The south side faces a planned plaza as a part of the soccer stadium development and will have more of a commercial look with light screens and the use of concrete. The existing buildings on the site (Lyon Bakery and Ana Towing) will be demolished later this year. Construction of phase one of the substation will be complete in 2016. A second phase is planned on the south side of the site to increase capacity at the substation in the future, although the façade of the entire site will be completed during the first phase. The Company plans to transform the property into a residence for actor and apprentice housing, rehearsal and performance space, storage for costume and set equipment, education classrooms, and the STC administrative headquarters...In addition to a full public benefits and amenities package to be delivered in conjunction with the redevelopment, [Managing Director Chris] Jennings hopes the new location will foster partnerships with local community organizations and the STC Education department's programming. With the addition of more rehearsal studios and performance spaces, Southwest community members will be able to take advantage of the new location's resources at a reduced rate. The campus has been vacant since The Graduate School USA absorbed SEU and the university lost its accreditation in 2009. The development will be located two blocks north of Arena Stage and adds another arts component to the 6th and I street corridors, which already has Arena Stage, weekly jazz and blues performances at Westminster, arts programming at Randall Recreation Center, and a planned modern art museum at the former Randall Junior High School. Update: A Housing Complex article states that the planned residential units will include both market-rate and artists' housing. 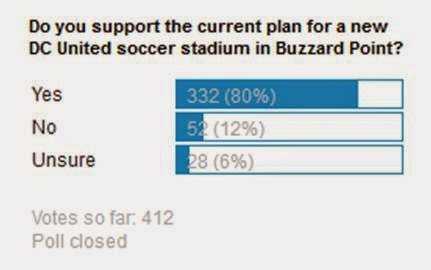 Eighty percent of respondents to Southwest...The Little Quadrant That Could's unscientific stadium poll support the current plan to build a new DC United soccer stadium in Buzzard Point. These results are much different than a poll conducted by The Washington Post back in January where 59% of respondents were against using city funds to help build a stadium. The city and DC United signed a term sheet last July in which the government would spend up to $150 million to assemble land and make infrastructure improvements while the team would spend $150 million to build the stadium. However, deadlines have slipped and the defeat of Mayor Gray in last month's Democratic Primary has placed some doubt on whether the deal will move forward as planned. For instance, the term sheet states the DC Council was supposed to approve the deal by the beginning of January, but the Council has yet to vote on the proposal or even receive all the details of the deal. The Winning Goal Coalition, which includes the CBCC, SWNA, and other local organizations, is developing a Community Benefits Agreement for the stadium deal, to ensure that District residents (especially those closest to the stadium site) benefit from the construction of the stadium. After extensive due diligence, we were not able to make the site work for this use...We are in the process of working with other organizations to provide other exciting interim activation experiences at Waterfront Station. It's unclear where the Kastles will be playing their home matches this season, which is set to get underway on July 9 against the Boston Lobsters. “For my curatorial contribution to 5×5, I envision Nonuments — a temporary sculpture park featuring ‘monuments’ devoted not to the great, but to ordinary people, to the ideals of democracy, and to the common struggles of humanity,” says Curator Lance Fung. The exhibit will be on display for 16 weeks from September to December. There will be an illumination and dedication reception for the SW Duck Pond on May 8 at 6th and I streets. The event will start at 7pm. The Morpheus Winds, a woodwind quintet will play and there will be light refreshments. The Neighbors of the SW Duck Pond group has been working with DGS to have new lighting installed in the pond as well as other maintenance issues, such as the coping along the pond's edge and landscaping. The lights will be turned on for the first time and the fountains will be turned on for the season at the event.The group is also getting a plaque created for Ron McBee and will be dedicating the fountains in his memory. In addition, they will be honoring their volunteer of the year and employee of the year from 2013. This year, there will be a new event series at the duck pond called Second Saturdays which will take place in June, July and August featuring chef demonstrations by ChefKev and the Amidon-Bowen PTA will also be out grilling. Other activities and events this season will include: tai chi, yoga, SWArtsFest, and a Halloween event for children.